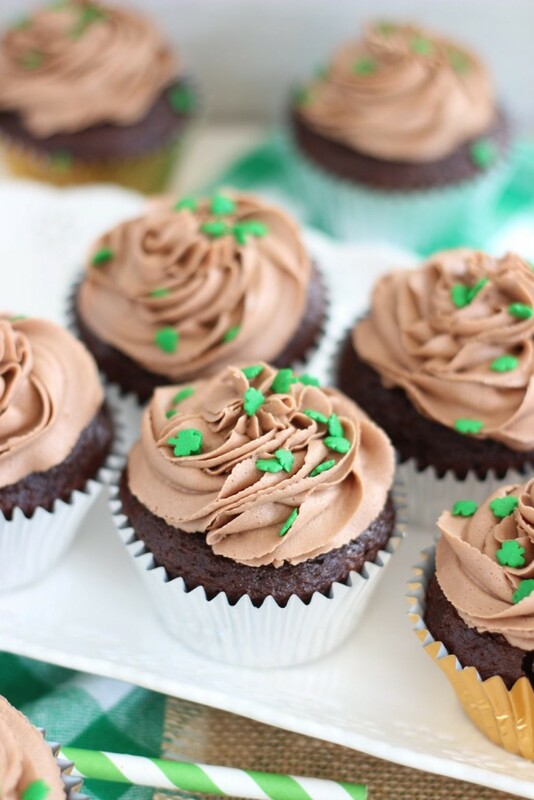 Guinness stout chocolate cupcakes, filled with chocolate ganache, and topped with chocolate and Bailey’s frosting! 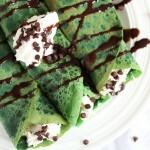 I like St. Patty’s alright, but it was never even close to a favorite holiday. It’s quickly becoming a fast favorite though, next to Thanksgiving and Christmas. It’s hard not to like. It’s a big party, full of revelry and debauchery and jolliness. How can it not be fun? For the last few years, we’ve spent our St. Patty’s in Buffalo, NY, at a big parade with all of my S.O.’s childhood friends. It’s a blast. We have the most incredible day of boisterous festivities. March in Buffalo isn’t always the most ideal weather for spending a large part of the day outside at a parade, but when you’re surrounded by friends, good food, and plenty of Guinness and Bailey’s (and Jameson, for that matter), then you get okay with it. The first year I went to the St. Patty’s parade in Buffalo, we started the day off at a friend’s bar. Somebody brought homemade Guinness cupcakes to the bar. 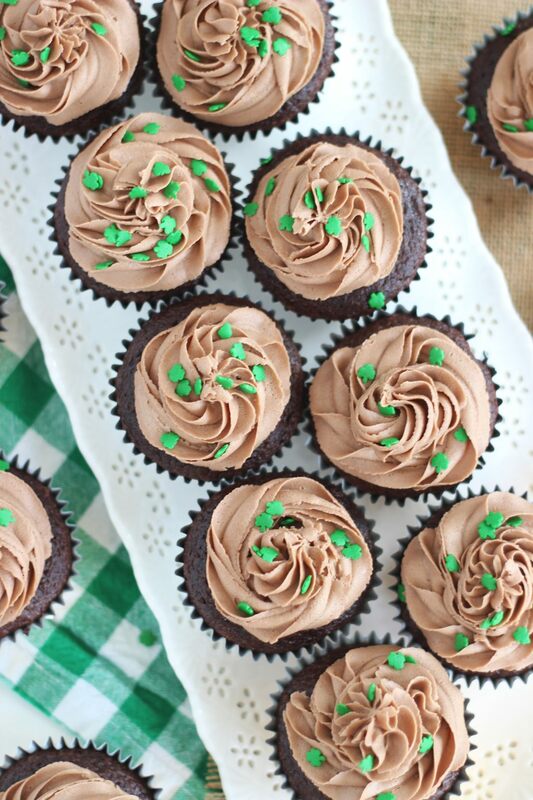 That is how I want to start every Sunday afternoon – like St. Patty’s – with Guinness cupcakes and beer. 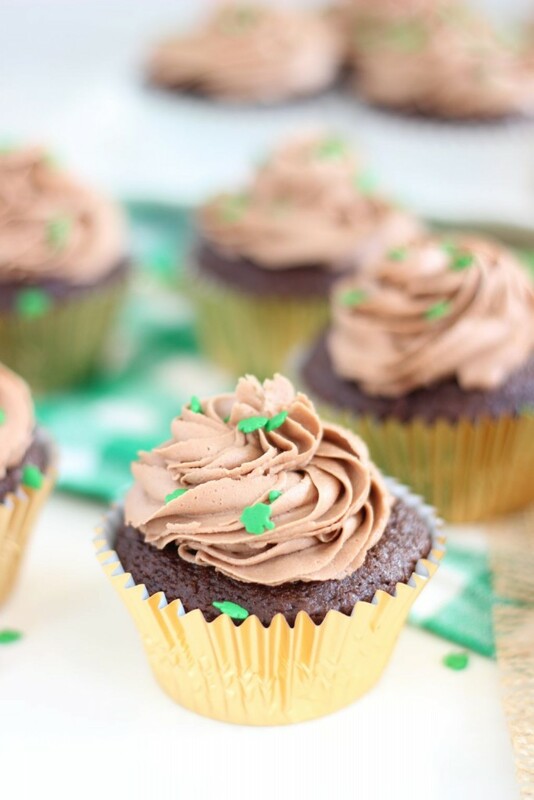 I think that particular St. Patty’s Day was 5 years ago now, but I have not forgotten those cupcakes, and it’s been my intention for a few years to recreate them. Finally, here we go. 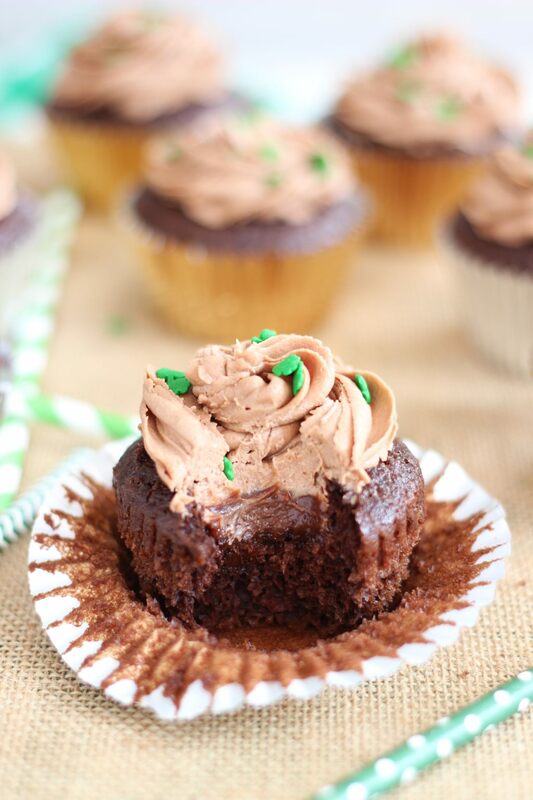 These are devil’s food cake mix cupcakes with almost an entire bottle of Guinness thrown into them. 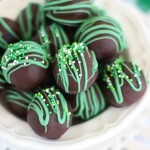 They stay moist and light, and I love that the Guinness flavor adds so much to enhance the chocolate, but isn’t overwhelming or too bold. 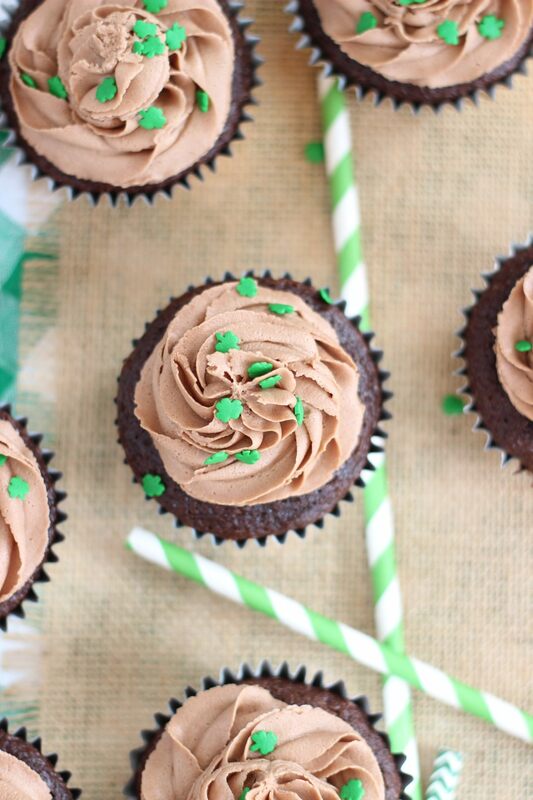 Bailey’s is such a nice complement to Guinness – or we wouldn’t have the Irish Car Bomb! But we do, thankfully. The Bailey’s frosting is strong in Irish cream flavor and chocolate, and is creamy and fluffy. The best part might be the chocolate ganache in the center. 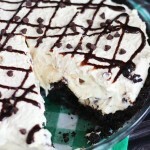 As soon as you take a bite, that gooey and rich center is such a welcome surprise! There is no possible way that you won’t be the most popular person at a St. Patty’s Day party with a batch of these cupcakes in hand. 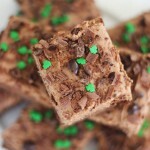 In a large bowl, combine cake mix, Guinness, oil, and eggs, whisking til blended. Fill muffins cups 1/2 full with batter. Bake at 350 degrees for 15-20 minutes, or until a toothpick inserted near the center comes out clean. Cool in the pan for 10 minutes before removing to wire racks to cool completely. Place in the refrigerator for 10-15 minutes to allow it to thicken. 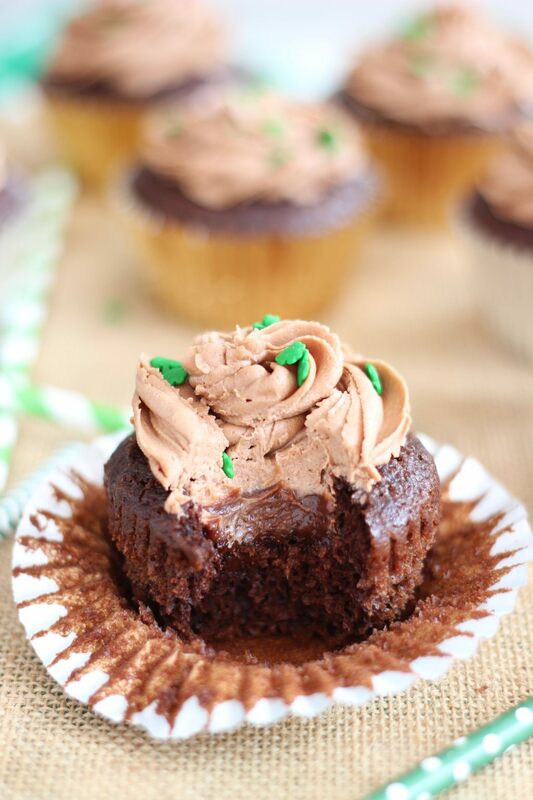 Using a spoon or cookie scoop, scoop a 1-inch ball out of the center of each cupcake. 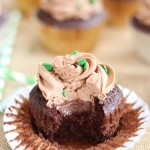 Spoon a rounded teaspoonful of ganache into the center of the hole of each cupcake. In a large mixing bowl, beat shortening and butter until smooth. Add powdered sugar, cocoa, vanilla, and Bailey's, beating until light and fluffy, adding additional Bailey's as needed for a thick and fluffy frosting consistency. 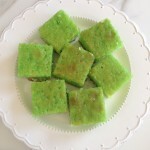 What an original recipe and delicious looking recipe. I’ve never heard of Guinness Cupcakes. You should come link these up at Welcome Home Wednesdays! Yes, please! Sarah, these sound and look amazing! Pinned! These look absolutely fantastic! Guiness- good. Chocolate- good. Truffles- good. Cupcakes- good. Baileys- gooooood. Wow, Scrumptious it looks. Thank you for sharing with us @ #HomeMattersParty. We would love to have you again next week. 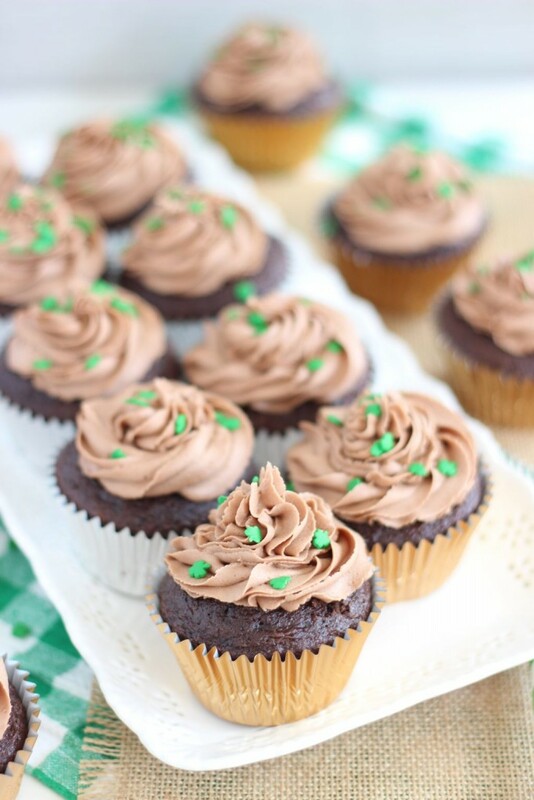 I made cupcakes, too, for St. Paddy’s – Your’s are so chocolaty and gorgeous! Great combo of flavors. Thanks for sharing with us on Throwback Thursday!